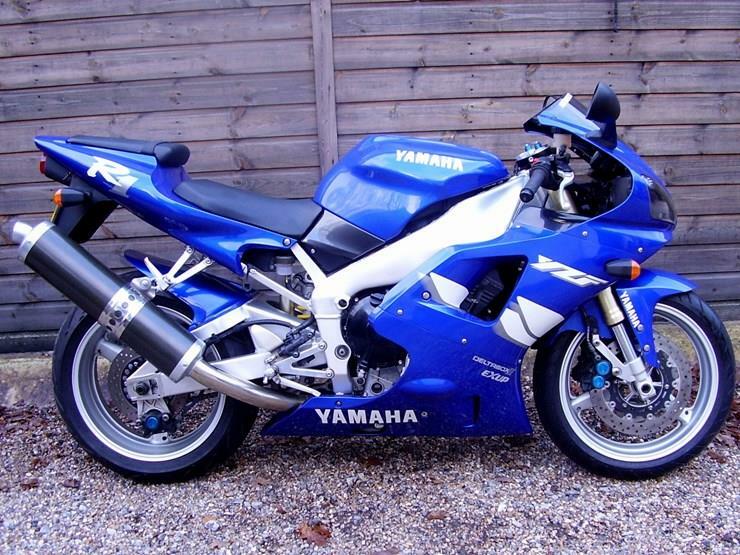 We are spoiled for choice these days when it comes to blisteringly fast, top-end sportsbikes, but this wasn’t always the case. The Honda CBR900RR FireBlade was released in 1992, and triggered a kind of superbike arms race between manufacturers in the 90s. As well as the Honda, that decade would see the release of the Ducati 916, Aprilia RSV1000, Suzuki TL1000 and Kawasaki ZX-9R. First unveiled in 1998, the Yamaha R1 not only stood up to all of this competition, but arguably surpassed it with its low weight and brutal power delivery. That original R1 not only impressed with its low weight/high power formula, but also used cutting-edge technology like its stacked gearbox (with the main shaft above the crank) to shorten the engine and aid mass centralisation, plus a long swingarm for stability. What’s more, it has remained to this day (through several major overhauls) a seriously fast and capable machine even as new contenders like the Suzuki GSX-R1000, BMW S1000RR and Kawasaki ZX-10R arrived on the scene. 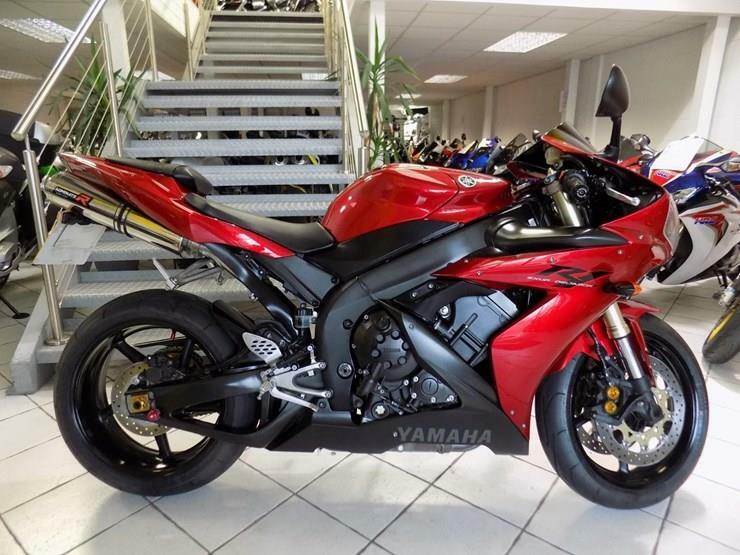 The current Yamaha R1 was released back in 2015, and produces a staggering 197bhp from its crossplane crank, 16-valve engine. It also uses a smorgasbord of electronic goodies that didn’t exist back in 1998, such as IMU-controlled electronic rider aids including ABS, traction, slide and wheelie control. If you want an R1 but the £16,499 starting price of a new one is out of reach, here are five different models from over the years to consider instead. It took Yamaha six years to release their answer to the game-changing Honda FireBlade, but boy was it worth the wait. Its 22bhp power advantage over the Honda would be impressive enough on its own, but the R1 also managed to be 5kg lighter than the Blade (a bike that prided itself on lightness beyond all else). Managing 150bhp without the aid of modern electronics will focus the mind of even the most experienced rider, especially when things start to hot up above 10,000rpm in the rev range. The second generation R1 may look at first glance almost identical to its predecessor, but Yamaha actually made over 150 tweaks and changes to the original. Changes such as thinner mirror stems and a titanium exhaust added up to a 2kg weight saving. The gearbox was beefed up and the lower gears were made taller to address problems with the first generation, too. 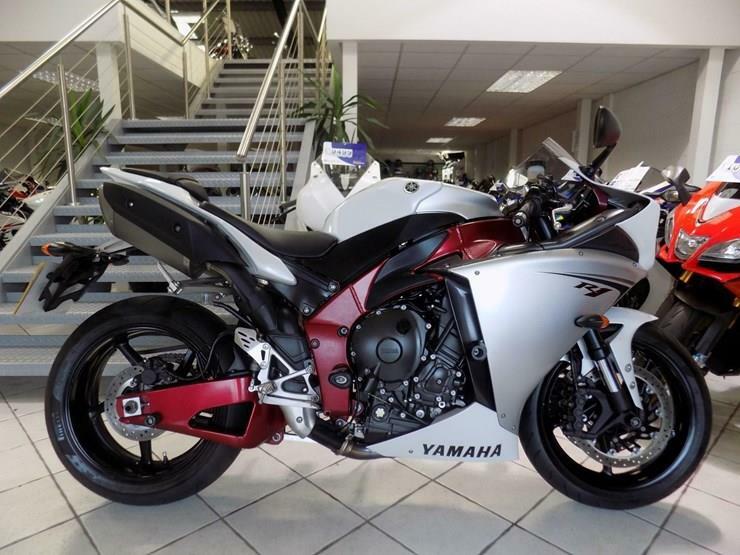 The 2004 Yamaha R1 was the first motorcycle claimed to have a 1:1 power to weight ratio (Yamaha claimed 172bhp) and whether or not this is the case, it is a blisteringly fast motorbike. This version would be the last to use Yamaha’s tried and tested five valves per cylinder engine setup, as a 16v arrangement was preferred from 2007-onwards. Although the 2004 R1 was more than a match for its competition on-track in the right hands, it required more skill and precision to extract that performance. Although it’s not the bike most would choose to go adventuring on, Nick Sanders managed to take his R1 of this vintage around the world several times. So, if nothing else, it can certainly handle some abuse. 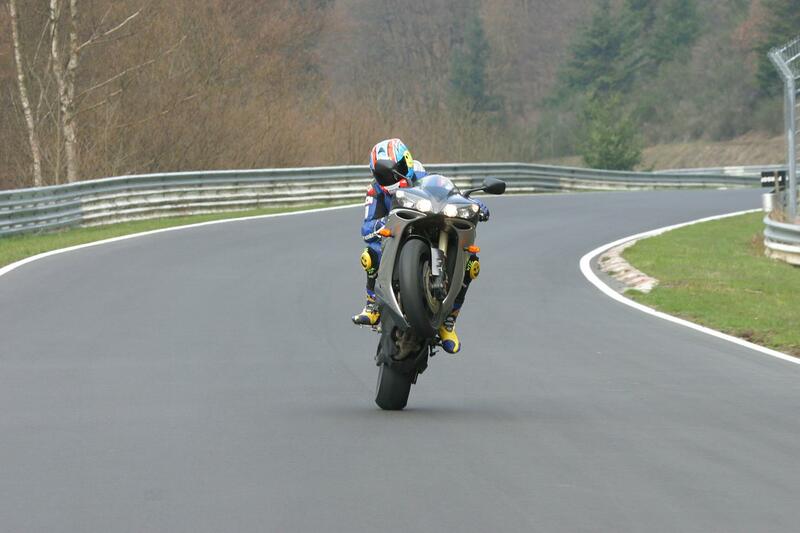 Despite having been through a major redesign in 2007, the R1 was reinvented again in 2009. Using a crossplane crankshaft with its crank pins set at 90-degrees and an irregular firing order, the 2009 R1 was able to generate V-twin-esque levels of grunt low down the rev range, before howling through the revs like an inline four should. 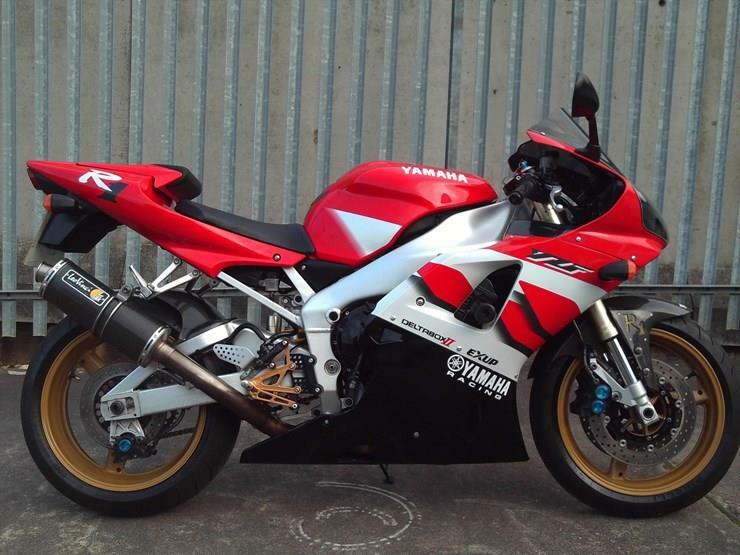 All of that MotoGP-derived technology came at a price and the bike was the first R1 in its family line to cross over the £10,000 threshold but you got an awful lot of bike for the money. 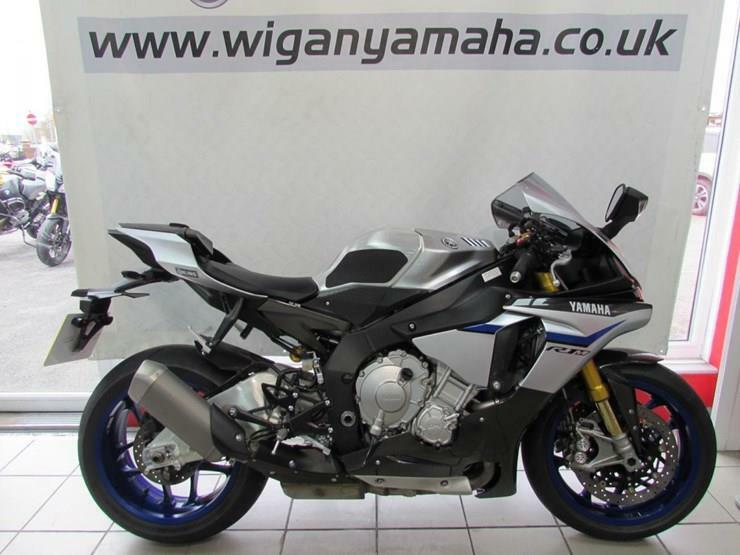 The first Yamaha R1M was based on the 2015 standard model and added a smattering of carbon fibre parts, semi-active Öhlins suspension, a polished swingarm and an exposed aluminium fuel tank. You also get a full datalogging system, which records everything from laptimes and speed to lean angles and pings it all to your phone or tablet. The R1M is not a cheap option, in fact its price is the only reason it didn’t manage a clean sweep of five-star ratings in the MCN review.